Billed as “the ride of a lifetime,” the Israel Ride delivers as promised. 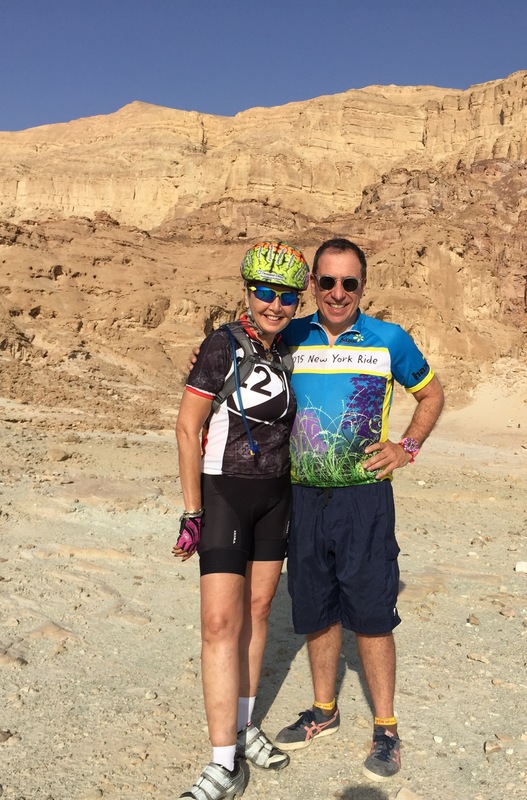 According to Andrea (Andy) Roisman, a veteran traveler to Israel and the sole Detroit rider on the 7-day cycling tour this past October, pedaling 250 miles through the desert from Jerusalem to Eilat was a transformative Israel experience. 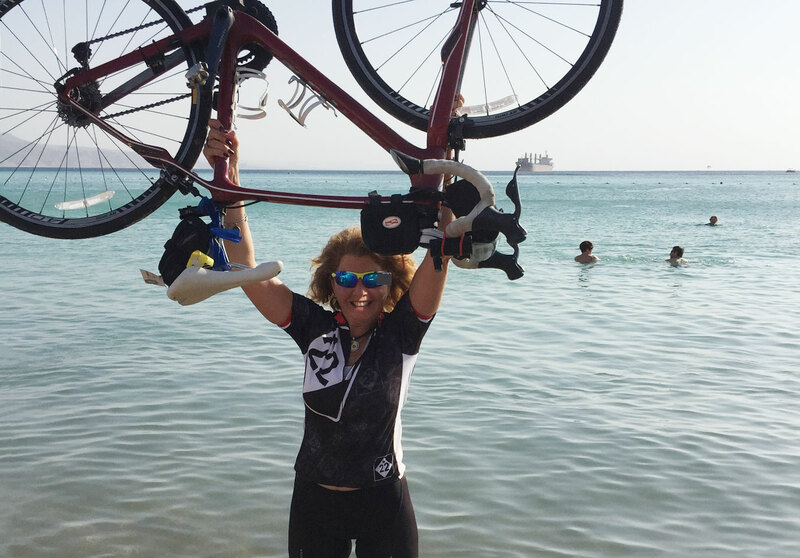 At 60, Andy counts the Israel Ride as a milestone in her life, affirming her physical strength and mental stamina, her love of Israel and her desire to help organize a cohort of Detroiters for next year’s Israel Ride, November 8 to 15, 2016. Celebrating its 13th “bar mitzvah” year this past October, the Israel Ride is a fundraising event benefiting two organizations, with proceeds going to the Arava Institute for Environmental Studies in Israel and to Hazon, the nonprofit working to promote food justice and sustainable communities across the U.S., including its newest branch in Detroit. Participants on the ride commit to a minimum fundraising level of $3,600 and cover their own airfare to and from Israel. The Israel Ride covers all other travel costs in Israel including hotels, food and ride support. Describing the group dynamics, Andy explains, “We were 162 riders of all abilities – from ages 13 to 76 – though the majority of the riders were in their mid-40s to 60s. There were three varying routes to accommodate and challenge riders at their own pace with distances averaging 30, 55 or 75 miles a day. Additionally, for those who preferred some time to explore Israel off the seat of their bikes, there were options for full-day or half-day excursions. Every inch of the way, they had you covered. Bike routes were fully supported by lead riders, SAG (support and gear) vehicles, mechanics, tour guides, security and medical personnel. And the rest stops were frequent and abundant oases, stocked with fresh fruit, food and drink. The Israel Ride started as a peace initiative of the Arava Institute, a leading think tank in Israel working with Israeli, Palestinian and Jordanian students in search of common ground on which to broaden their understanding of the region and its challenges working towards environmental sustainability on issues of water, solar power, land use, forestation and energy. Interested? Visit online to learn more about The Israel Ride, The Arava Institute and Hazon.